Liena Loh : The word Antioxidant says it all!. 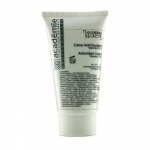 Another great product and cream from Academie. Great for sensitive/combination and dry skin. Can be used in the morning and night. Serves me well for a long time. Give this a try. Excellent product.